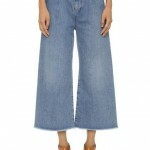 Spring Italian Fashion: New Trends for 2011! All shops specializing in Italian fashion are already showcasing new fashion trends and the spring air will surely wet the appetite! After the overdose of January sales (who has not been tempted?) it's time to open your wardrobe and make room for the change of season. Throw the heavy sweaters, pants and winter jackets, and make room for the new spring clothes and light colors … [Read more...] about Spring Italian Fashion: New Trends for 2011!